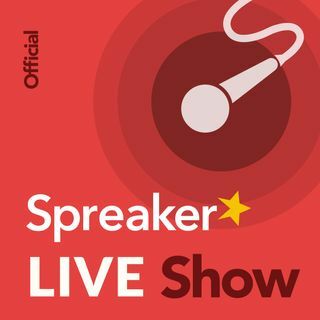 Tune in to the Official Spreaker podcast, hosted by Rob Greenlee, VP, Podcaster Relations at https://Voxnest.com (@robgreenlee) - Podcasting & Live Audio platform https://Spreaker.com and dynamic ad insertion platform Dynamo. The show is co-hosted by Spreaker podcaster Alex Exum (@alexexum) with podcasting how-to's, tool demos, ... Más informaciones trends, tips, and talks with leading podcast and radio leaders. Live Every Wednesday at 3pm PST/6pm EST. "This unique conference is aimed at podcasters, bloggers, social media visionaries, content creators, entrepreneurs, marketing professionals and new media enthusiasts who are looking to up their game through the effective use of new media tools ‒ such ... Más informaciones as podcasting, blogging and social media ‒ in their endeavours."